Zakynthos | Boat Trips | Boat Rentals | Authentic Local Experiences: ROUND OF ZAKYNTHOS BY BUS! ONLY 20 EUROS! FREE TRANFER! 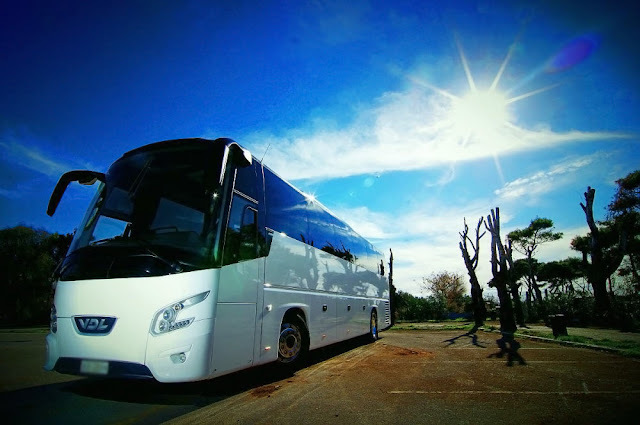 ROUND OF ZAKYNTHOS BY BUS! ONLY 20 EUROS! FREE TRANFER! The bus leaves at 10:00 in the morning. The first stop is in Alykes, famous for its golden, sandy beach. Taking the road to the eastern part of the island there is another stop at a winery where you can taste the Zakynthian wines and have a snack while an expert gives you a tour explaining the way wine is produced. The Blue Caves are fifteen minutes away. You get on board on small boats and have a close look of the sea water that is always blue, also painting blue everything that is beneath their surface. A bit later you will have the chance to admire the world wide famous Navagio (Shipwreck)! From that spot the view is breathtaking. Get your cameras ready! The photos taken will be of unbelievable beauty! Anafonitria is a small village nearby. There, you visit the monastery where the protector of Zakynthos Saint Dionysios took the veil and spent a big part of his life. Lunch time has come, so there is a stop at a local “tavern” that serves traditional Greek food and local wine. After lunch, you continue to Volimes village where you can see hand made products: tablecloths, embroideries and laces and perhaps do some shopping. Exo Hora, Kiliomenos, Agios Leontas are some of the mountain villages seen as the bus takes the road of the return. 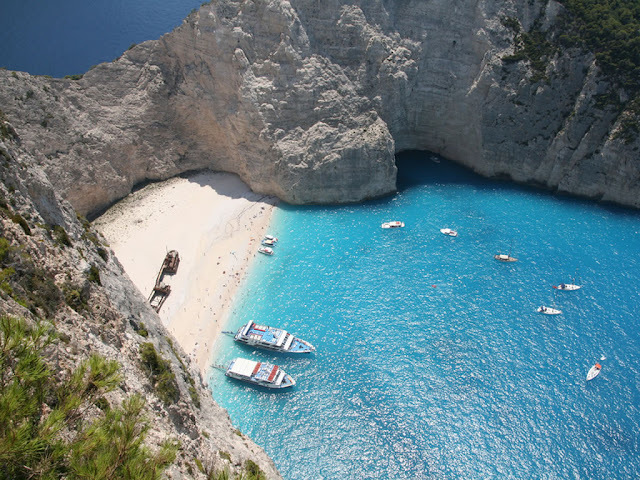 The last stop of the trip is in the picturesque village of Maherado, just ten kilometers away from Zakynthos Town. There you will visit the church of Agia Mavra. To book the trip you can contact us daily from 09:00 a.m. until 12:00 at night. When we will receive the payment we will send you the voucher of your reservation to your email. Tip! Book your boat trip during the first days of your vacation in order to be able to change the date in case of weather conditions. Attention!!! You must be at the pick-up point at least 10 minutes before the pick-up time, otherwise, in case you miss the bus, your reservation is cancelled and there is neither a refund nor a change in the date of the trip. If the trip is cancelled due to weather conditions you must arrange a new date within 24 hours or ask for your money back; failing to do so there is no refund. If you cancel the trip 3 days earlier, you get a 50% refund. Failing to cancel the trip within 3 days there is no refund.